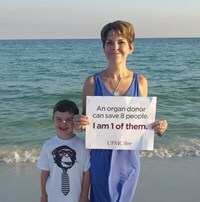 Jennifer Alley is a 35-year-old wife and mother living in Kennesaw, GA. After years of struggling with a very rare and complicated disease, Jennifer received a small intestine organ transplant in an effort to better maintain her health. 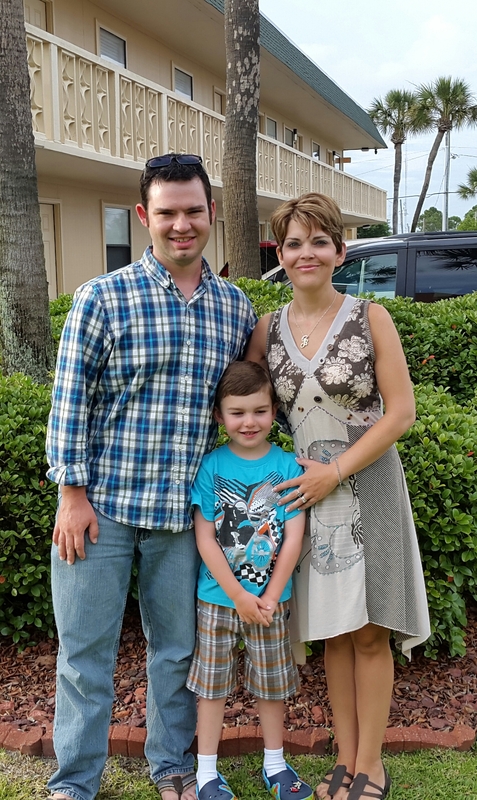 While the transplant has been successful and has given Jennifer opportunities beyond her wildest dreams—including a son—organ maintenance and immunosuppressant drugs take their own toll on her body and are not completely covered by insurance. Jennifer was born with myopathic intestinal pseudo-obstruction, a chronic condition in which the intestine is unable to push through food as if there were an obstruction when there is none. Since digestion was not a possibility for Jennifer, her nutritional requirements were met with daily IV nutrition. Jennifer has undergone numerous surgeries and medical interventions throughout her life to combat the disease as well as various side-effect conditions. At the age of 22, medical progress in intestinal transplants finally made it a possibility for Jennifer. She and her new husband traveled with her parents to the University of Pittsburgh’s Medical Center (UPMC) where she spent 8 months on the waiting list and subsequent recovery from the transplant. 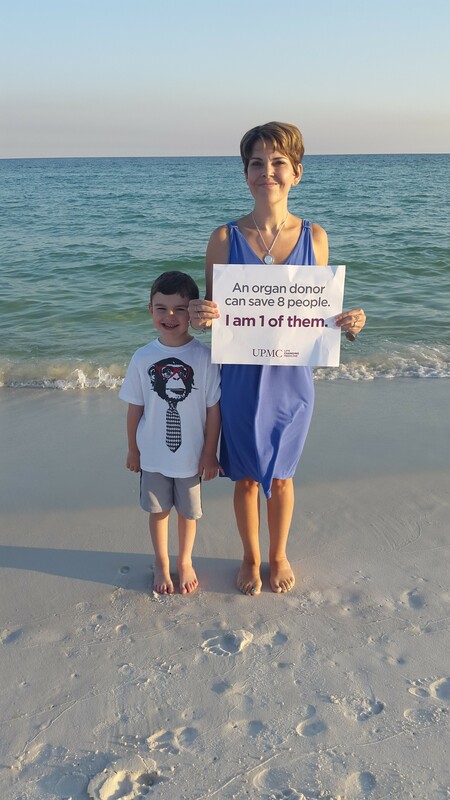 In 2016, Jennifer followed her transplant surgeons who transferred from UPMC to Cleveland Clinic. Today, Jennifer and her family optimistically fight for her continued well-being. Transplants are life-saving but financially draining. Jennifer’s new organ requires continuous maintenance and anti-rejection efforts. Even with insurance, Jennifer faces ongoing extreme expenses including travel now to Cleveland Clinic for care from her medical team, post-transplant medications, co-pays, lab fees and more. To help with the financial burden of Jennifer’s uninsured medical and travel expenses, a fundraising campaign in her honor has been established with Help Hope Live, a trusted nonprofit organization that has been providing community-based fundraising guidance to patients and their families for more than 30 years. All donations are tax deductible to the full extent allowed by law, are held by Help Hope Live in the Southeast Intestine Transplant Fund, and are administered by Help Hope Live for transplant-related expenses only. Please, consider a contribution. Hello. I wanted to provide an update. A lot has been going on and keeping me busy with yearly tests and scheduling upcoming tests. Also we have been busy trying to set up and do fundraisers to help out to pay for uncovered bills, expenses with insurance and for trips out of state for my medical care. As you have heard us say a small bowel transplant is very expensive. It was just listed as most expensive surgery for 2015 in the US to give you some idea. Yesterday, I had to go to the dermatologist for my yearly skin cancer screening. Due to immunosuppressants, we transplant patients are very high risk for skin cancer and many other forms of cancer. So this was first of tests to knock off. Good news this was all clear! Also the last few days Daniel, Felton and I have been getting our flu shots so we are covered for the season. Flu is another thing that is much more dangerous for transplant patients. I have several more tests coming up too that really have my nerves on end so prayers please. Tuesday Oct. 6, I will be having a CT scan to check my lymph nodes. We are high risk for lymph cancer too and as you may remember last year I was completely surprised when they did this test and we had questionable nodes that led to me having surgery to have them removed. Thankfully, it came back non-cancerous, but we ended up in Pittsburgh for 5 weeks due to difficulty with the surgery and while recovering, I had a bowel obstruction. I am scared of results again and if had to have anything done again what all it could lead to. Plus, they are checking to make sure its not cancerous so please pray all looks good. On Nov. 6, I will be having a biopsy of my small bowel to make sure it is working well and no signs of rejection. Also, in Nov. I will be having my bone density scan done. Another thing immunosuppressants are hard on is our bones. This is always nerve racking for me. So I’ve been feeling a bit overwhelmed with all this. As a fundraiser, my Mom has been making beautiful Halloween wreaths and selling locally if anyone is interested. And this Saturday October 3 in my parents neighborhood, Legacy Park there is picnic in the park. There will be fireworks, music, food and booths. We will have a tent set up and doing some fundraising. My Mom will have some of her wreaths there too so please come see! I want to thank you all who continue to support, encourage, and donate all that you do. It means so much to me! You are the best support team! Jennifer is currently at home in Kennesaw, Ga.